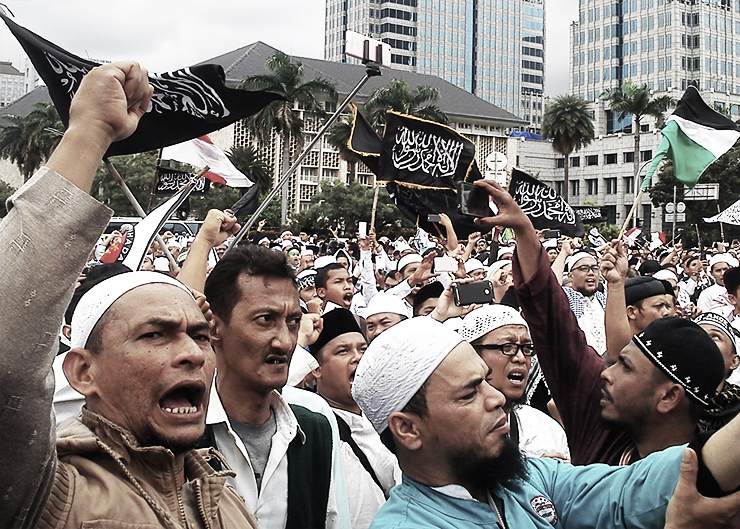 Belief so far has prevailed that Terror, such as that expressed by those factions which ambition through bloodshed and plunder to create a system of governance they believe to be the expression of their Salafist faith, remains forever rooted within the Islamic world – thus putting the onus on Islam’s many communities and territories. While History indeed accounts to such truth – the pages of our books still echo of the many battles, invasions, and persecutions nations have faced before Arab hegemons, Terror, that we experience today, is also rooted in colonialism; the expression of a socio-political malaise fallen empires failed to address, so quick were they to dismiss their responsibility vis a vis those communities which now populate their national landscape. If Terror’s militants have chosen to exert their wrath on Europe’s streets it is because Europe sits a designated enemy, the old enslaver and conqueror, who now, dictates and shapes geopolitical realities from afar. If Europe no longer sees itself as a colonial force, the former colonies have yet to outgrow such stigma. As often in politics it is not so much how one sees oneself that matters but rather how others do. For better or for worse, rightly or wrongly, much of Africa and Asia look upon western capitals with reserve mixed with resentment – latent anger and longing for retribution. Such sentiments are shared by those migrants who now call the West their home. This may explain why France, more than its other European counterparts has suffered the brunt of this new perverse form of violence: Islamic terrorism. Today France is home to the largest Muslim community in Europe, with more than 5 million people from North Africa, the Middle East, and the so-called ‘Black Atlantic’. If France’s colonial adventures are a thing of the past, it has yet to close the chapter on its long history – or tradition, depending how one wishes to look at it, of violence with those communities it once ruled over. It is then that Orientalism became a motif in French art and literature. Poetry in particular, came under the Orientalist spell; from Baudelaire to Nerval to Mallarmé, French poets dreamed of an East that they saw as an escape from the modern capitalist world: a window onto the marvellous and extraordinary. As France began to colonize the Arab world, it reinvented itself a force against the rising might of Britain’s empire. For they held very similar ambitions in the region, although according to very different motivations and modus operandi, Britain and France became de facto rivals in their pursuit for political and commercial superiority. Today, both share, although differently, in the same threat: the dissolution of their sovereign identity to Terror. Where Britain was mainly concerned with syphoning natural resources to feed its capitalist hunger, often from the barrel of a gun, France wished to imprint itself onto its colonies through a process of cultural integration. It is such cultural colonialism which today has given way to a divide within French society in between natives and migrants, the ‘bougnoules’ as the French refer to and ‘les Francais de souche’ – the natives. France has long held an ambiguous relationship – one may argue chronic dysfunctionality, with its immigrants, which ambiguity has directly fed into the very narrative Terror has weaved, so that its ranks would swell – turning the fringe of the fringe into a global power of destabilisation. Terror ideologues have more often than not exploited immigrants’ socio-political vulnerability – their social unease, and ghettoization to assert their ideological dissonance. While the notion that Terror is an export of the Islamic world still hold – Salafism and its ideological sister: Wahhabism were indeed born in the desert of the Hijaz, now known as Saudi Arabia, to support a certain dogmatic and monolithic worldview, much of Terror’s fuel: its sectarianism, and anger towards everything Western has found a stronger echo in the streets of France’s infamous ‘banlieues’ than it ever did in the streets of Damascus or Baghdad. How else explain the move many so-called jihadists made when they chose to outroot themselves and their families from their western homes to espouse Daesh’s vision? Terror is not the exclusive product of the Islamic world. Holding to such a myopic vision will hamper our global ability to defeat it. More pertinently, still, our collective refusal to assume responsibility where responsibility is due will ultimately empower those forces we ought to destroy, as they speak of the negation of Freedom, and human dignity. Terror as it were has found many of its soldiers outside its geographical realm. France’s ongoing debate with the repatriation of its jihadists from both Syria and Iraq attest to that. The riots France witnessed back in 2005 carried one could argue, the seed of Salafi Jihadism as it spoke of a war against the state – and if not completely at least partially, well before Daesh manifested into existence. Although the French press at the time, along with state officials and even the French intelligence services rejected off the bat, the role played by Islamists in the riots, to better reduce the violence to the expression of a social fracture, it remains nevertheless true that France’s 2005 riots marked the beginning of a silent war within France’s borders against the Republican order – the very soul of France. France’s laicity remains the main bone of contention. In recent years this core value of the French Republic has been opposed by ‘communautarisme’, which sets the needs of the community against the needs of society. Communautarism is a direct result of France’s failure to think itself whole before the waves of migration the fall of its colonies prompted. Here, the old adage the Republic has held to: Liberty, Equality, Fraternity came short. The Anglo-America model where differences are prized and respected (to a point) does not apply in France, where difference is seen as a form of sectarianism and a threat to the Republic – hence France’s battle against the hijab and other outwardly signs of religious and/cultural otherness. The most recent and acute problem experienced by Muslims immigrants in France is that the proclaimed universalism of republican values, and in particular: laicity, has come to resemble the ‘civilizing mission’ of colonialism, and less so the emancipation French officials have said to want to promote. President Emmanuel Macron dedicated long passages of his book: Revolution, to that very matter’ making a point at highlighting the painful paradox France architected as it rose almost a tyrant over religious communities, arguing freedom and republican values. Beyond this conflict of politics and religion lies a deep-seated fear of cultural annihilation whereas the perceived colonial power: France, seeks to disappear its immigrants’ authentic identity, and their sense of self. Such psychosis has fuelled extremism – itself an intellectual devolution and religious aberration. This is the argument made by political scientist Gilles Kepel in his 2012 book Quatre-vingt-treize, a title which alludes to Victor Hugo’s great novel of the Terror of 1793, and to the notorious Seine Saint Denis district of Paris, which is known as 93, after its postcode. In his book, Kepel conducts a forensic examination of the recent history of this district, concluding that although several varieties of Islam are at war with each other, they are all united in their hostility towards the French state. Kepel’s observations are to be understood within France’s particular socio-political struggle, and not as an expression of Islam’s alleged rejection of Western civilisation – that is Terror’s narrative, Islam at its core forever remains an invitation to liberation through one’s submission to the divine. Kepel insists that present tensions in France cannot be divorced from the so-called Arab Spring and subsequent horrors Daesh armies befell onto the Greater Levant region. His logic holds in view of empirical evidences. At a time when both Syria and Iraq have successfully rid themselves of the toxic fumes of Daesh armies by the sheer strength of its sons and daughters’ arms, France and other Western capitals remain vulnerable. More vulnerable one may assert as France stands to lose itself to Terror by betraying the very traditions it ambitions to defend and reassert against radicalism. Where Iraq’s push back against Terror gave way to the affirmation of its national sovereignty and identity, France finds itself staring at an abyss of its own making – occupied from within by forces it created out of its own reactionarism. Lessons are to be drawn from Iraq’s war against Daesh as ultimately it led to a grand national awakening and move towards political self-determination. But before any lessons can be indeed learned … or taught, one must first identify what dynamics have fed Islamic radicalism, and why so many of Terror’s soldiers abandoned their western homes to join in a fight which seemingly was not theirs to begin with. There is a globalism to Terror as that thought out by Salafi Jihadism, which so far has escaped us.